Pebblebed Holiday Cottages - Just four miles from Sidmouth. We have two stunning holiday cottages available for holiday rentals situated in an area of Outstanding Natural Beauty in Devon, only four miles from Sidmouth beach. The cottages are close to the Jurassic Coast - the UK's only natural World Heritage Site. The cottages are ideally located to reach lots of lovely East Devon coastal towns including Sidmouth, Budleigh Salterton, Beer, Branscombe and Exmouth - the list goes on. Apple Mill and Burrows are both Grade II listed, detached properties with secluded, private gardens. 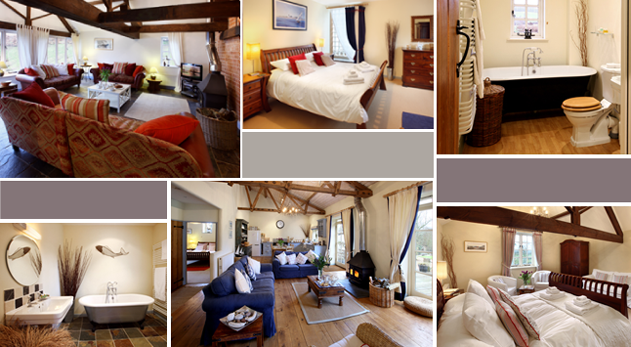 Please visit our website for more information, on both holiday cottages.